I have always been impressed with Patrick’s designs when I stumble across photos of them on various websites and so I was very excited to see Patrick’s first (I think) DVD release. I must say this first collection didn’t disappoint. The DVD production quality is excellent. Patrick is a fine teacher and carefully explains each step. 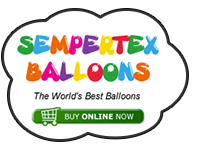 There is something here for everyone in terms of ballooning skills with a few designs being at the advanced level. I really hope Patrick produces volume 2 comprising of some more of his advanced models. I liked the dinosaur, then when I did the next show forgot how to make it, tried to make it up and kinda came up with my own design - so all worked out for me. A nicely shaped frog with extended back legs. This frog looks like it is in mid-hop and makes a good model. This takes too long for line work but ideal for restaurants. I was a little surprised to see a one balloon model on this DVD. The photo doesn’t do this one justice but it is a nice variation on all the hundreds of single balloon animals already seen. Very good for line work and not a animal that will keep coming undone. A lovely model and a great way to present a simple dolphin. I am not very good at making balloon hearts and so this one isn’t shaped very well. The addition of a flower and bubbles really adds something special. An unusual monkey with a slightly strange face. In my opinion this is the weakest balloon of the collection and not one I will make often. This horse is superb and an inventive way to use a 646Q for the face. This model took a few attempts as you need to get the 646 to the perfect length otherwise the end result looks terrible. The ear design is great and the 160Q reins keeps the model together and makes a solid design. This is a model I will be making many times. A great dino model with a simple face that means it can be made fairly quicky. 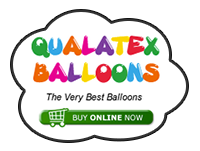 A large model with minimal use of balloons. adds character to the balloon. The highlight of the collection is this dinosaur. The 646Q face is very nice and had I made this balloon in green it may well have been mistaken for a toy story character. This model all fits together well. The fixing of the eyes and nose is the same as in the crocodile, however, it is a lot easier with a 646Q. This is a balloon that will be in high demand for my children’s parties. This single balloon dog is lovely and has so much more facial expression than the usual single balloon dog. Ideal for line work and it only takes a little longer than the standard balloon dog and hopefully you can charge a little more for it!